To whom is the peeling advised? How does a peeling session work? A peeling session begins with an exfoliating cleansing of the skin, then the natural glycolic acid is set for 10min. 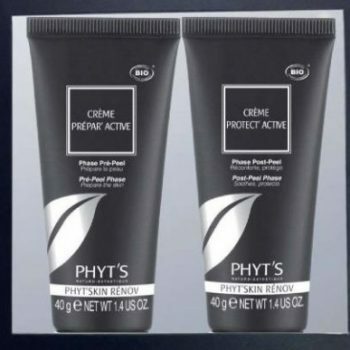 This skin rejuvenating treatment “PHYT’S Skin Renov” ends with the application of neutralizing lotion and a mask regenerating and revitalizing and a comforting cream. A cure is composed of 4 treatments, accompanied by an in-house preparation of two creams for enhanced effectiveness and results quickly visible. What are the results of a peeling treatment? 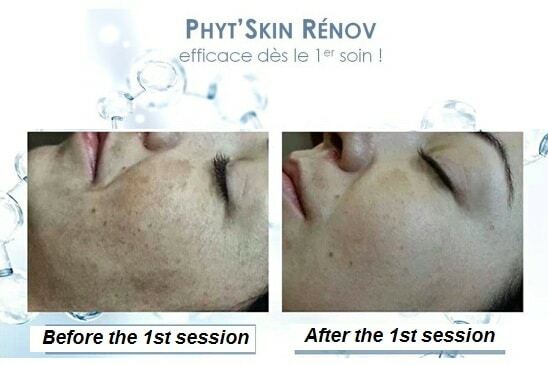 The effectiveness and results of the peeling cure are tested and proven in the laboratory. After a treatment of 4 sessions with the use of the product box, the skin is smoothed up to 90%, the skin texture is refined to 95%, the skin imperfections 80%*. The skin is renewed, the skin irregularities faded, the imperfections, wrinkles and fine lines attenuated. The treatment evens, clarifies, illuminates the complexion, eliminates dead cells, refines skin texture, strengthens and tones. 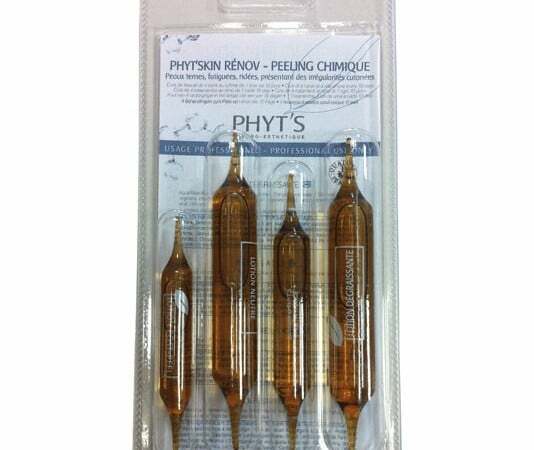 What is the active ingredient of the PHYT’s SKIN RENOV peeling? The peeling active ingredient is Glycolic Acid, which is an extract of organic sugar cane. What is the recommended frequency? The recommended frequency for peeling treatments is up to 2 cures per year.